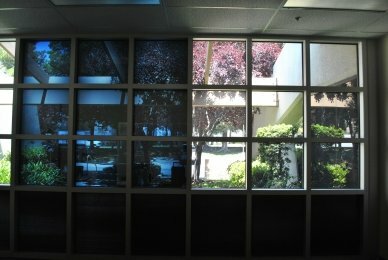 Research into electrochromic smart glass means tintable windows that block heat and light could be surprisingly cheap. Nano-manufacturing giant Applied Materials has been working on electrochromic smart glass, a technology that can regulate the reflectivity and transparency of glass. Soladigm, another company pursuing green energy-saving opportunities, has developed its own electrochromic glass. And though Soladigm’s keeping quiet on the pricing front, here’s why this is exciting news: some experts predict their glass technology could cost as little as $20 per square foot. To solve their problems, Soladigm licenced research from Lawrence Berkeley National Laboratory, which is working on tungsten-alternatives for electrochromic glass. Hopefully their experiments will produce results to bring Soladigm’s glass in line with current low-emittance windows, which reflect near-infrared light--without the cool smart glass tinting, of course. Low-emittance glass only costs about $10 per square foot. 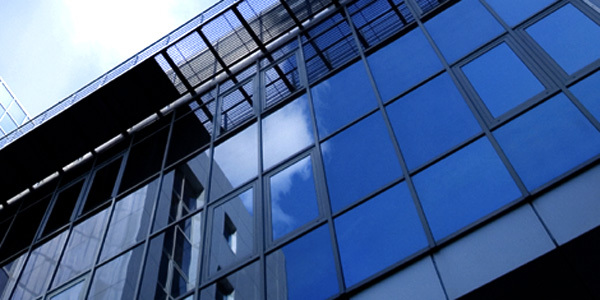 But considering Soladigm’s reserach in commercial buildings has found that electrochromic glass saves about 25% of annual HVAC costs, that one-time splurge could be well worth it.